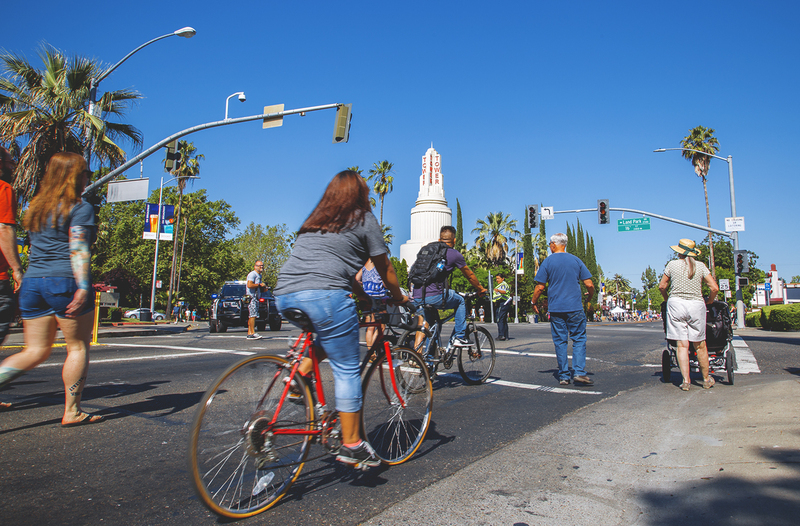 What we did: As part of the Vision Zero Task Force, we’ve been working with public agency, nonprofit and community partners to develop an action plan for reaching the City of Sacramento’s goal of eliminating all severe injury and fatal traffic collisions by 2027. The draft action plan will be released early next year. Why it matters: A data-driven plan will direct resources toward improvements to safeguard people on bikes in the most dangerous locations, many of which are concentrated in traditionally underserved neighborhoods. 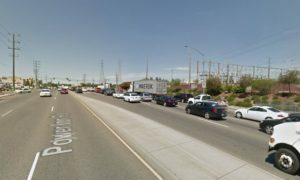 For example, nearly all fatal bike collisions occur on major arterial streets like Stockton Blvd., due to the combination of heavy traffic, fast vehicle speeds, and poor or missing bike lanes. What we did: Late last year Sacramento County’s Measure B transportation sales tax measure narrowly failed to win passage, in part because SABA and allied groups didn’t have a seat at the table to help shape a measure we could all support. We worked with our strategic allies to ensure that the next transportation sales tax measure reflects our ideas and values. Why it matters: Our region cannot achieve its air quality goals without providing safe, convenient alternatives to driving, including travel by bike. And without additional funding, we won’t see the kind of roadway improvements that will enable more people to choose a bike for everyday travel. Environmental, neighborhood and community groups have a decisive role to play so long as we work together. What’s next: Allied groups continue to meet to discuss our role in influencing the content of the next transportation sales tax measure. What we did: We’re part of an advisory committee that developing policies and strategies for ensuring that the Sacramento region’s bike share system, launching next spring in parts of Sacramento, West Sacramento and Davis, is accessible to everyone. We also represented the interests of people on bikes in three cities interested in introducing Chinese-style dockless bike share systems. Why it matters: Bike share programs enable people to replace car trips with bike trips, which helps reduce traffic congestion and improve air quality. Meeting these goals requires local policies about bike share operators to ensure that people can rely on bike share as a long-term transportation solution. 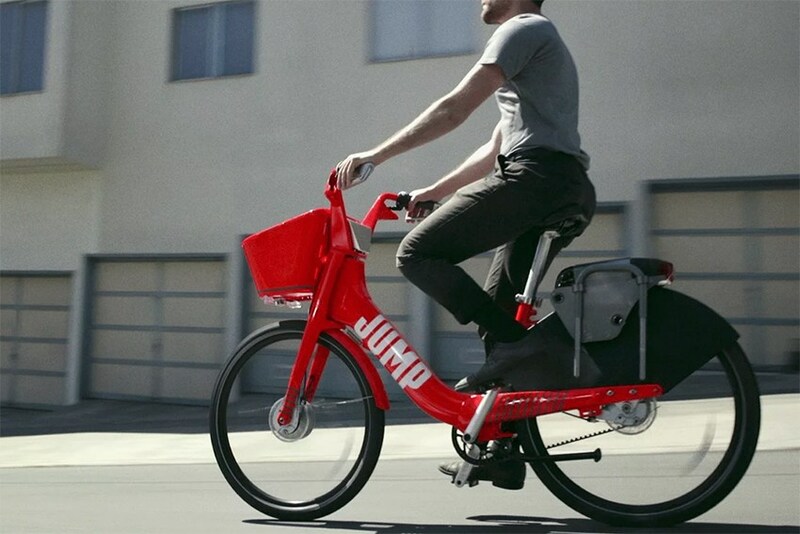 What’s next: We’ll continue to advocate for bike share as a legitimate transportation solution. We’re especially interested in strategies for making bike share succeed in less-dense suburban areas and with traditionally underserved populations. What we did: We led rides and encouraged people to try out the protected bike lane on P Street that was demonstrated for three days in during early October. 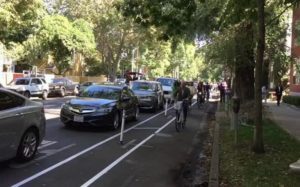 Why it matters: This preview helps build public support for the 20+ blocks of bikeway improvements, including a protected bike lane on P Street, to be installed in the Grid next spring. This was also the first time the City has demonstrated this kind of facility on a short-term basis. We support more experiments like these. What’s next: We’ll continue to educate the community about the benefits of protected bike lanes, including the new bikeways downtown in Spring 2018. 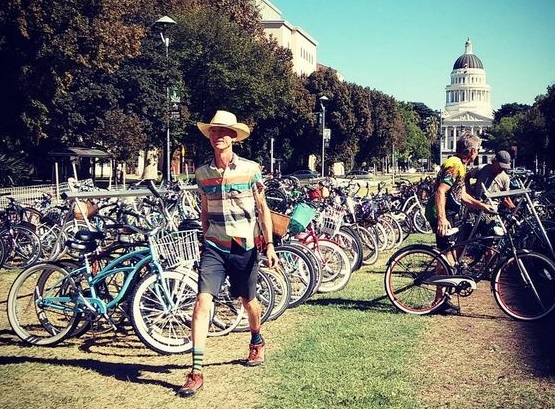 What we did: We helped organize community support for Sacramento County’s pilot program to allow bikes on unpaved maintenance roads in the Woodlake and Cal Expo areas of the American River Parkway. The program opened this fall. Why it matters: The pilot program help determine whether off-road bicycling can be accommodated in the lower American River Parkway, like it is around Lake Natoma near Folsom. 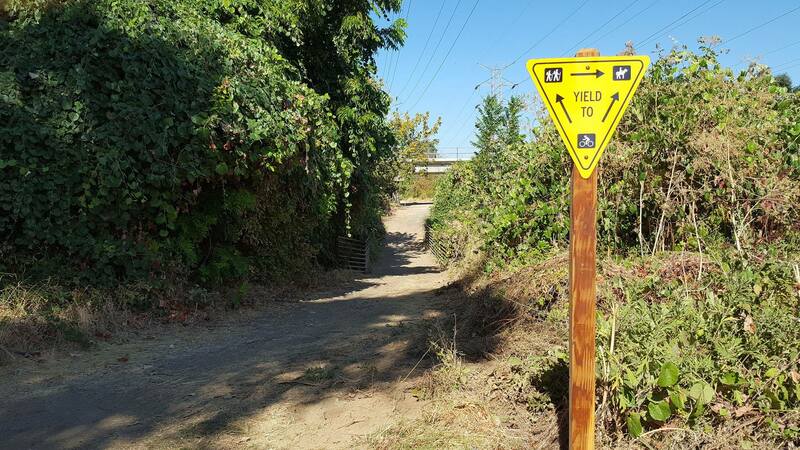 Introducing more active uses in this part of the parkway helps the paved American River Bike trail feel safer and less isolated for more people. What’s next: We’ll continue to monitor the success of the program over the next three years, when future expansion could be a possibility. What we did: We partnered with WALKSacramento to evaluate needs and opportunities to improve conditions for biking and walking in the Power Inn area for the local business association. What it matters: As advocates, we look at the world from the perspective to people on bikes. That knowledge can be valuable to organizations like the Power Inn Alliance whose members want the benefits of more transportation options, including travel by bike. What’s next: We continue to support Power Inn Alliance in advocating for improvements for travel by bike. 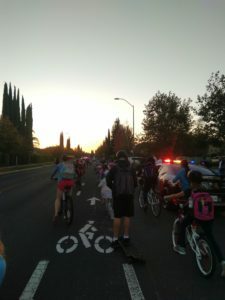 What we did: Once again we partnered with WALKSacramento on a contract with the City of West Sacramento to encourage biking and walking to 7 elementary schools through evaluation, education and street improvements. Why it matters: Helping make it easier for kids to bike and walk to and from school creates healthy habits, reduces traffic congestion around schools and improves air quality. What’s next: During 2018 we’ll deliver bike education, organize ‘bike trains’ and help residents identify the best bike routes through their neighborhoods. 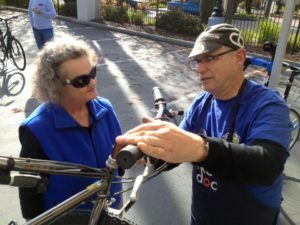 Bike Doc mechanic Glenn Small explains repairs to a Bike Doc customer. Why it matters: There’s just one bike shop that serves the 100,000 residents of Natomas. 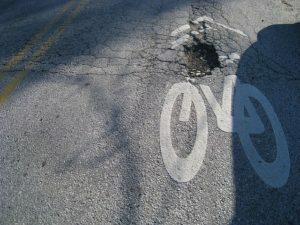 Without easy access to repairs, people can’t ride their bikes, which leaves some people stranded and forces others to drive more than they want to. What’s next: We continue to work with the North Natomas TMA. Meanwhile, we have grant funding to introduce bike repair clinics in South Sacramento. What we did: With funding from Rancho Cordova’s Measure H Community Enhancement Fund, we introduced Bike Valet services at community events in Rancho Cordova, and also led social bike rides and held several bike maintenance classes. Why it matters: We’re helping build a community of Rancho Cordova residents who support bicycling and can organize to advocate for needed roadway improvements. What’s next: We’ll continue to provide these services through 2018. What we did: We were part of a committee that organized Sunday Street on Broadway, when Sacramento temporarily closed Broadway and adjacent streets to cars so people could bike, walk, skate, play and have fun. We partnered with a group of young urban planning professionals to fabricate a temporary protected bike lane as one of the activities at the event. Why it matters: Events like these offer a way to ‘reclaim’ our streets as places for people and not just for cars. When people can experience their neighborhoods this new way, even temporarily, they become more engaged in decisions about how their neighborhood streets operate and how they can be improved. For SABA, Sunday Street on Broadway presented an opportunity to meet and talk to people interested in helping advocate for installation of protected bike lanes. What’s next: This was the first in a pilot project to organize similar events in each City Council district. Future events have not been announced, however, we’re encouraging the City to host more of these transformative events and we want to help make them successful. We’ve also heard from other cities in the region that want to host these kinds of events. What we did: During 2017 we parked more than 10,000 bikes at nearly 300 community events in Sacramento, West Sacramento, Rancho Cordova and Elk Grove. 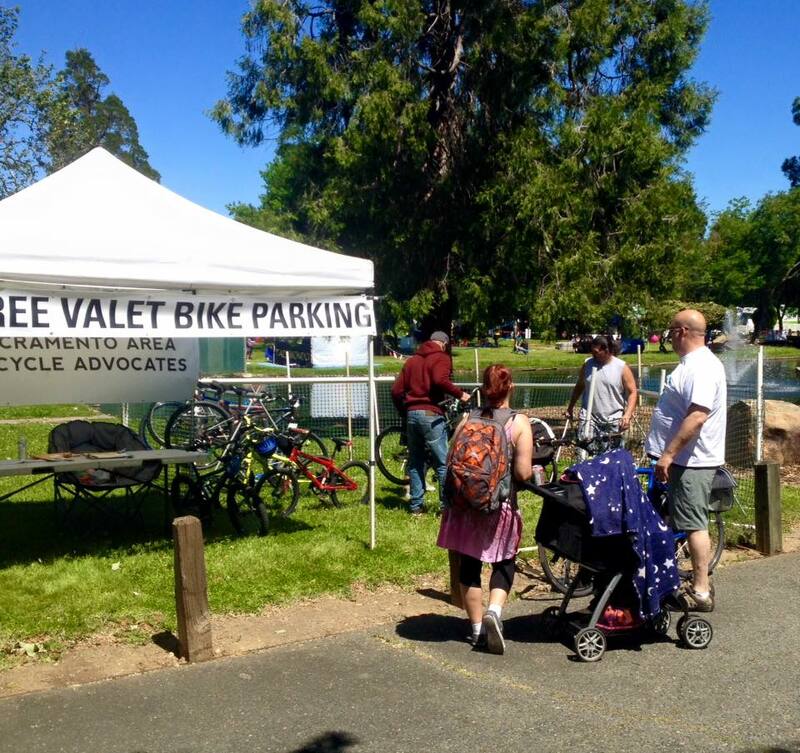 Why it matters: When people have a fast, easy way to park their bike for free at a community event, they’re more likely to ride a bike than drive a car. That keeps driving-related pollution out of the air (and your lungs) and helps reduce traffic congestion. Our regular clients include the Sacramento Republic FC, Midtown Farmers Market, Friday Night Concert in the Park, SactoMoFo, The Barn and the Cordova Community Council. What’s next: During 2018 we hope to resume providing Bike Valet services for selected Golden 1 Center events.